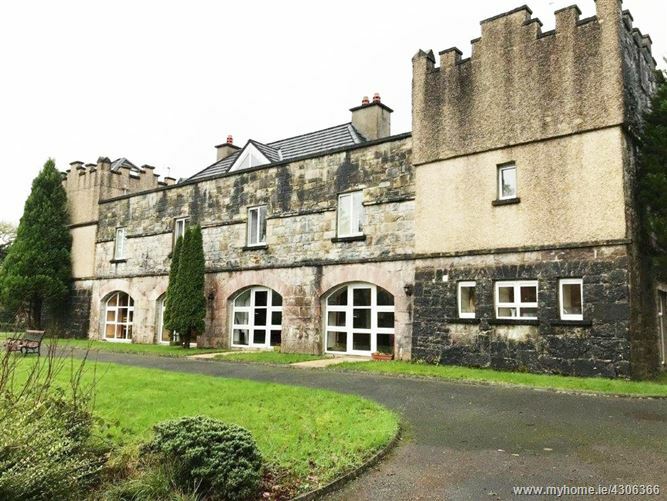 A truly wonderful terraced townhouse in one of the West of Irelands most picturesque locations. No.5 The Old Manor is one of twelve beautifully appointed residences centred around a landscaped courtyard adjacent to the grounds of Ballinahinch Castle. Developed from an original old manor house on the shores of Ballinahinch Lake the property is finished to an exceptionally high standard and is beautifully presented. Comprising c.117m² of space over three floors, the property is being sold with the benefit of having timber floors throughout, raised open natural stone fireplace with a Liscannor stone hearth, a fully fitted kitchen, two bedrooms at first floor level with a fully tiled en-suite and bathroom. Part of a fully managed estate, the house has access to a private tennis court and has numerous walks with the legendary Ballynahinch Castle Hotel just a five minute walk away along the river bank. Ground Floor: Open Plan Living Area, Kitchen/Dining Area. Carpets & Curtains. TV Point. Tiled floors and Surrounds. Stand alone shower. Carpets, Vaulted Pine Ceiling, Velux Windows. TV Point.